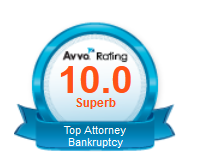 Board Certified by the American Board of Certification in Consumer Bankruptcy Law and Creditors' Rights Law. "AV /Preeminent" rating for legal ability and ethical standards by Martindale-Hubbell. Graduate of the T.C. Williams School of Law, University of Richmond, Virginia (J.D., 1983), where Mr. Higgs was a member of the National Moot Court Team and the Moot Court Board, and was a contributor to the University of Richmond Law Review. Frequent lecturer on bankruptcy law, creditors' rights law, legal ethics and real estate foreclosures for Virginia Continuing Legal Education (Virginia CLE) and other CLE providers, with more than 50 separate presentations presentations to local, statewide and national audiences of legal professionals over the past 24 years. Author and presenter of the chapter on Creditors' Rights for the Reciprocity Course sponsored by the Fellows of the Virginia Law Foundation. Commentator in the legal and popular press on bankruptcy law and on the Fair Debt Collection Practices Act, including articles published in The Daily Record (Baltimore, Maryland), Virginia Lawyers Weekly, the Blue Ridge Business Journal, and the Valley Business Front. Former Virginia Administrative Hearing Officer, Supreme Court of Virginia (1985-1986, 1990-2001). Arbitrator: American Arbitration Association, 1992-1996. Better Business Bureau of Western Virginia, 1986-present (Senior Arbitrator, National Panel of Consumer Arbitrators, Better Business Bureau, 1988-present). Tax Sale Attorney and Special Commissioner for tax sales for the City of Roanoke, Virginia, 2004-2010. Coach, Instructional Soccer, City of Roanoke Department of Parks and Recreation, 1996-2008. Certified by National Youth Sports Coaches Association, 2000, 2004, 2005, 2006. Past President, Blue Ridge Zoological Society of Virginia, Inc. [Mill Mountain Zoo and ACRES: American Center for Rare and Endangered Species]. 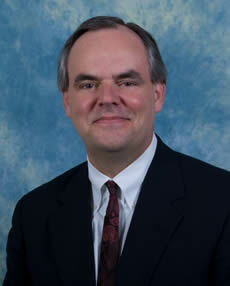 Past Chair, Mill Mountain Advisory Committee (Roanoke City Council appointment), Member, 1999-2010 [Chair, 2001-2010]. Graduate, Leadership Roanoke Valley, Roanoke Regional Chamber of Commerce, (Member, Economic Development Committee), 1992-1993. Trustee, Roanoke Bar Association Foundation, 2004-2007 [Chair, 2006-2007]; 2010-2015. Volunteer, Boy Scouts of America, Blue Ridge Mountains Council, 2001-2009. Volunteer, Juvenile Diabetes Foundation, 1995-1998. Volunteer, Virginia Skyline Girl Scout Council, 1993-2011. Summit City Limits, LLC v. AMF Bowling Worldwide, Inc. (In re AMF Bowling Worldwide, Inc.), 2013 Bankr. LEXIS 4236 (Bankr. E.D. Va., decided October 9, 2013). Plastic Fabricating, Inc. v. Electrex Company, Inc., No. 7:12-CV-00119, 2012 WL 1970237 (W.D. Va., decided May 30, 2012). Brown Bark I L.P. v. Ebersole (In re Ebersole), 440 B.R. 690 (Bankr. W.D. Va. 2010). Garcia v. Direct Fin. Servs. LLC (In re Garcia), 436 B.R. 825 (Bankr. W.D. Va. 2010). In re Martin, 427 B.R. 573 (Bankr. W.D. Va. 2010). City of Roanoke v. Whitlow (In re Whitlow), 410 B.R. 220, 2009 Bankr. LEXIS 2344 (Bankr. W.D. Va., 2009). DaimlerChrysler Fin. Servs. Ams., LLC v. Meadows (In re Meadows), 292 Fed. Appx. 256; 2008 U.S. App. LEXIS 19452 (4th Cir., 2008). DaimlerChrysler Fin. Servs. Ams., L.L.C. v. Waters, 2007 U.S. Dist. LEXIS 52119, 2007 WL 2107428 (W.D. Va. 2007). In the Matter of the Foreclosure of Deed of Trust from Donna Bailey and Steven Bailey, 75 Va. Cir. 462, 2007 Va. Cir. LEXIS 259 (Tazewell County 2007). SunTrust Bank v. Wright, 63 Va. Cir. 396, 2003 Va. Cir. LEXIS 205 (Roanoke City 2003). In re Waters, 227 B.R. 784, 1998 Bankr. Lexis 1625 (Bankr. W.D. Va. 1998). Vanderbilt Mortgage and Finance, Inc. v. Wroblewski (In re Wroblewski), 1997 Bankr. LEXIS 1963 (Bankr. W.D. Va. 1997), aff’d, Wroblewski v. Vanderbilt Mortgage and Finance, Inc. (In Re Wroblewski), 1997 U.S. Dist. LEXIS 21925 (W.D. Va. 1997). Giles v. Miller, 67 Va. Cir. 426; 1996 Va. Cir. LEXIS 691, (Lynchburg 1996). Cooper v. Horn, 248 Va. 417, 448 S.E.2d 403, 1994 Va. LEXIS 123 (1994). Pennsylvania Manufacturers Association Insurance Company v. Waldron, et al., 16 Va. App. 991, 434 S.E.2d 690, Va. App. LEXIS 412 (Va. App. 1993) (on brief). Shelton v. Overstreet (combined on appeal with Benefiel v. Walker), 244 Va. 488, 422 S.E.2d 773, 1992 Va. LEXIS 123 (1992) (on brief). Farmer's Foods Distribution Center, Inc., et al. v. Element Financial Corp., No. 170001 (Va. Supreme Court, 2017). Whitlow v. City of Roanoke, No. 106558, (U.S. Supreme Court, 2010, 2011). Whitlow v. City of Roanoke, No. 100003, (Va. Supreme Court, 2010). In re Whitlow, No 09-71228 (Bankr. W.D. Va. 2009). DaimlerChrysler Financial Services v. Meadows (In re Meadows), No. 07-1968 (4th Circuit, 2008). Macher v. City of Roanoke, No. 081332, (Va. Supreme Court, 2008). In re Waters, No. 06-50309, (Bankr. W.D. Va., 2007). In re Meadows, No. 06-62050, (Bankr. W.D. Va., 2007). In re Avery, No. 07-50300 (Bankr. W.D. Va., 2007). In re WDRL-TV, Inc., No. 06-61051 (Bankr. W.D. Va., decided July 31, 2007). In re WDRL-TV, Inc., No. 06-61051 (Bankr. W.D. Va., decided August 17, 2007). In re WDRL-TV, Inc., No. 06-61051 (Bankr. W.D. Va., decided August 21, 2007). In re WDRL-TV, Inc., No. 06-61051 (Bankr. W.D. Va., decided October 11, 2007). In re WDRL-TV, Inc., Adv. Proc. No. 07-06092 (Bankr. W.D. Va., 2007). In re WDRL-TV, Inc., Adv. Proc. No. 07-06100 (Bankr. W.D. Va., 2007). Snow v. Skyline Corp., et al., No. 070913 (Va. Supreme Court, 2007). Eagle Scout, Boy Scouts of America, 1973. Eagle Scout Mentor (3 awards), 2009. Girl Scout Gold Award Dad, 2006, 2011. Outstanding Young Man of America, United States Jaycees, 1984. President's Call to Service Award (4,000+ lifetime hours community service), 2011. President's Volunteer Service Award, Gold Award, (500+ hours community service), 2004, 2006, 2007, 2008. Virginia Bar Association "Community Servant" 2004, 2005, 2006, 2007, 2008. Named "Local Bar Leader of the Year" in 2007 by the Virginia State Bar. *Bankruptcy practice limited to representing creditors. The results of legal representation depend upon a variety of factors unique to each case. Past success does not predict or guarantee future results. Facts, circumstances, and the application of particular laws will differ in individual circumstances. Please consult your own attorney to determine how the information contained on this site might apply, if at all, to your particular circumstances. Martindale-Hubbell is the facilitator of a peer review rating process. Ratings reflect the confidential opinions of members of the Bar and the Judiciary. Martindale-Hubbell Ratings fall into two categories - legal ability and general ethical standards. AV® Preeminent ™ is the highest rating available, and is a certification mark of Reed Elsevier Properties Inc., used in accordance with the Martindale-Hubbell certification procedures, standards and policies. The Martindale-Hubbell Peer Review Icon is a service mark of Reed Elsevier Properties Inc., used under permission from Reed Elsevier Properties Inc. in accord with the terms and conditions established by Martindale-Hubbell. The American Bar Foundation was established in 1952 by the American Bar Association, and is now recognized as the premier institute for social science research on law in the country. Membership in The Fellows is limited to one-third of one percent [0.00033%] of the lawyers in America. The current number of The Fellows in Virginia is approximately 260. The Virginia Law Foundation was established by the Virginia State Bar in 1974 to improve and promote the administration of justice in Virginia. Fellows membership is limited to 1% of the active and associate membership of the Virginia State Bar. The current number of Fellows is approximately 414; 32 Fellows are from Roanoke. The Roanoke Law Foundation was established in 1997 to improve and facilitate the administration of justice, to promote the diffusion of knowledge of the law, and other educational and charitable purposes. Fellows are limited to 10% of the active and associate membership of the Roanoke Bar Association, and must (1) have been a member of the Roanoke Bar Association for at least 10 years; (2) be a person of integrity and character; (3) have maintained and upheld the highest standards of the profession; (4) be outstanding in the community; and (5) be distinguished in the practice of law. The Litigation Counsel of America Trial Lawyer Honorary is established as a lawyer honorary reflecting, according to the organization, "the best in law among its membership, as selected by clients, lawyers, judges and business leaders throughout the United States." Membership is limited to a total of 3,500 Fellows nationwide, representing fewer than one-half of one percent of American attorneys, “carefully selected based upon evaluations of effectiveness and accomplishment in litigation, and superior ethical reputation,” according to the LCA. Virginia "Super Lawyers" is published annually by Law and Politics and Richmond Magazine. Only 5% of Virginia attorneys are selected as Super Lawyers. The selection procedure involves nominations from other lawyers, independent research on nominated candidates, and evaluation by a blue ribbon panel of preeminent peers in their practice areas. The Avvo rating is calculated using a mathematical model that considers the information shown in the attorney's profile, including a professional's years in practice, disciplinary history, professional achievements and industry recognition. The Best Lawyers in America® is published annually by Woodward/White Inc. Best Lawyers compiles lists of outstanding attorneys by conducting exhaustive peer-review surveys in which thousands of leading lawyers confidentially evaluate their professional peers. Because lawyers are not required or allowed to pay a fee to be included, a listing in Best Lawyers is widely regarded within the legal profession as a singular honor, conferred on a lawyer by his or her peers. Lawyers listed in Best Lawyers have no say in deciding which practice areas they are included in. They are voted into practice areas entirely as a result of the votes they receive from their peers. The U.S.News – Best Lawyers® “Best Law Firms” rankings, published by U.S. News & World Report, are based on a rigorous evaluation process that includes the collection of client and lawyer evaluations, peer review from leading attorneys in their field, and review of additional information provided by law firms as part of the formal submission process. To be eligible for a ranking, a law firm must have at least one lawyer who is included in Best Lawyers as part of the annual peer review assessment.